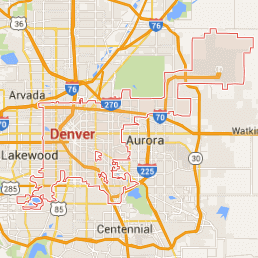 When homeowners in Ken Caryl experience water damage they can rest assured knowing that the water damage remediation professionals at 911 Restoration Denver are standing by around the clock to mitigate the situation. The Ken Caryl flood damage techs are on call and available 24/7/365, allowing them to get to your home within 45 minutes of your urgent call. We understand that water can invade your home at any moment, for a variety of different reasons, and that getting to the scene quickly is crucial for a speedy recovery. Our technicians work with advanced machinery to thoroughly clean and dry your living space, ensuring that every drop of moisture is removed. 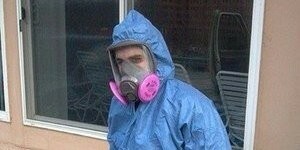 This will guarantee lower chances of structural damage and mold growth. Our Ken Caryl plumbing crews work hard to preserve the structural integrity of the home, as well as taking special care to salvage your possessions that were affected by the water. 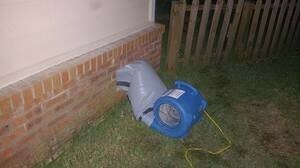 Weather is not always the culprit when it comes to water damage. The Ken Caryl water damage crews know how much destruction a sink leak can cause in your home, so they have so tips on how to avoid that situation all together. Avoid faulty plumbing by having the bathroom piping checked every six months. If you find any rust or corrosion on the pipes have the damage replaced immediately. Make sure there is no kinking in the piping, as this may cause future cracks. Have the water valve tested twice yearly. Know where the water shut off valve in the home is located and how to turn it off during an emergency. With more than 35 years of experience in the home restoration industry, the licensed, insured and bonded Ken Caryl flood damage removal team knows how to fix flooding problems, plumbing issues, roof leaks and many more water disasters. The Ken Caryl homeowners are our first priority, and we want to be there for you during all aspects of the water damage restoration process. We try to do this by offering free home damage estimates, free visual mold inspections and competitive prices. The Ken Caryl flood damage removal staff will also help you with filing your insurance claim. We happily work with all major insurance companies, and will take the lead in filing the claim for you. Let our professionals work with your insurance representative to get you the lowest deductible possible. 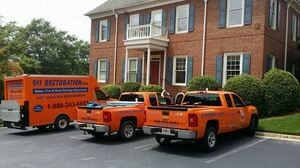 Let the Ken Caryl water damage experts deal with your home flooding for you. Call our water damage Ken Caryl team with 911 Restoration Denver as soon as you discover unwanted water on your property so we can give you and your family a fresh start today!